$3200 per month. That’s not your salary. It’s what you spend on child care for your four young children — including triplets — who are all under five years old. Their father works out of town, so you’re the primary caregiver. You can’t work full time because the care costs are too high. Your financial situation is tight, so you must make difficult choices. You use a line of credit to pay for care, or ask your family to watch the kids as much as possible, or use vacation days from work to care for them yourself. When you care for them instead of working, you’re with the children 24/7, which isn’t healthy for you or for them. Until last September, Billie MacFarlane found herself stuck in just that situation. The exhaustion and stress took a toll. “My depression increased and I had to change medication to help cope… Being with children five and under 24/7 created extreme loneliness and resentment. A simple outing to pick up groceries or get the mail is a big deal… Grocery shopping online has become my friend.” Billie also had concerns for Sophie, then four years old, and triplets Logan, Ericka, and Naomi, then three years old, because her only other choice would be low-quality out-of-home care. Billie’s situation improved dramatically when she secured spaces under the Government of Alberta’s $25 a day child care program. After reaching out to two other centres — one had a waitlist, another never called her back — she was finally fortunate to get her children accepted into the Jasper Place Child and Family Resource Society. 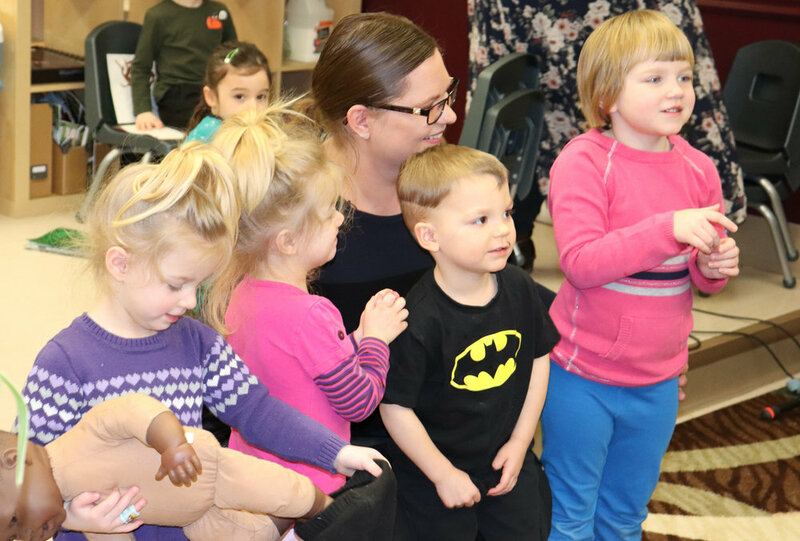 When the government program launched in 2017, 22 Early Learning and Child Care Centres were eligible across Alberta, including five in Edmonton that provided 250 spaces. As of April 2018, 1847 program spaces were available in the city. With the assistance the program provides, Billie saves about a $1000 per month, so she now has “a little money left over” after basic expenses such as food, shelter, utilities, and fuel, and she can worry less about money. It’s also helping her pay down the line of credit she had to use to pay for care and other expenses in the past. Her improved financial situation also benefits society as a whole. “I’m not on welfare or another assistance program where you don’t give back. Working, I am paying taxes, receiving health and dental benefits, paying into Canada Pension, and helping another organization run” at work. Shuchuk says the lack of integrated approach is one factor in lack of access to quality affordable care in Edmonton; another is waitlists — not enough spaces are available for all the children who need them. Another problem parents may face is “finding consistent information about what quality child care looks like” because a high price does not always indicate high quality. Jeff Bisanz is a Professor Emeritus in psychology at the University of Alberta with expertise in child development. He serves on the Edmonton Council for Early Learning and Care, created by EndPovertyEdmonton with other organizations to address early learning and care issues. Although no single definition of quality early learning and care exists, experts agree on key elements. For example, quality centres must do the following. Provide safe, healthy, welcoming, adaptive, and supportive environments for children and families from diverse backgrounds. Employ staff who understand child development, have education in the field, and respond effectively to the personal, social, and intellectual needs of children in their care. Meet regulations and standards including child:staff ratios, which in Alberta vary by age from 3:1 for infants under a year to 10:1 for 4½-year-olds and older. EndPovertyEdmonton defines poverty as any situation “when people lack, or are denied, economic, social, and cultural resources to have a quality of life that sustains and facilitates full and meaningful participation in the community.” Lack of affordable quality child care is one factor that contributes to poverty, so to meet the goal of ending poverty in a generation, access to this care must increase. As Bisanz explains, that access is a Game Changer for poverty reduction for several reasons. Parents — typically mothers — who can’t access quality early learning and care for their children are often forced to make stressful compromises such as not pursuing desired education or work opportunities. This can limit their ability to find ways to improve their economic situations. As a result of the 2015 Mayor’s Task Force for the Elimination of Poverty, the Early Learning and Care Steering Committee, co-chaired by Bisanz and City of Edmonton Ward 2 Councillor Bev Esslinger, was set up in January 2017. One of its purposes was to establish a new body to manage and plan early learning and care; that body is the Edmonton Council for Early Learning and Care. Bisanz is a member of the Council, and its partners include the City of Edmonton, provincial ministries and agencies, the Association of Early Childhood Educators of Alberta, the Multicultural Family Resource Society, and many more. Planning and development for the Council, through the Early Learning and Care Steering Committee, has been in progress for the last two years. In March 2019, the Council held its first meeting. Its work on selecting and implementing specific programs and initiatives to facilitate change will begin shortly. Although the program is currently only a pilot, the Government of Alberta’s $25 a day care plan is a step in that direction. Currently only not-for-profit centres can participate, and the number of spaces in those centres is small compared to the need, but outcomes so far are promising. The contrast between the before and after situations for families like Billie’s highlights the relationship between poverty and the lack of access to affordable quality early learning and care and the significant difference having that care can make. For Billie, this kind of care for her children is essential. “Without the $25 a day child care, the cost will be more money than I clear each month…. I would not be able to afford to work which means I will be home on welfare and the children will not have access to the education they need.” She also believes that access to such care has advantages beyond individual families. “The more people who can go to work, the more we will have invested back into the economy.” And that benefits everyone. For more information on EndPovertyEdmonton’s six Game Changers for reducing poverty within a generation, including affordable and quality child care, visit the Game Changers & Goals page.